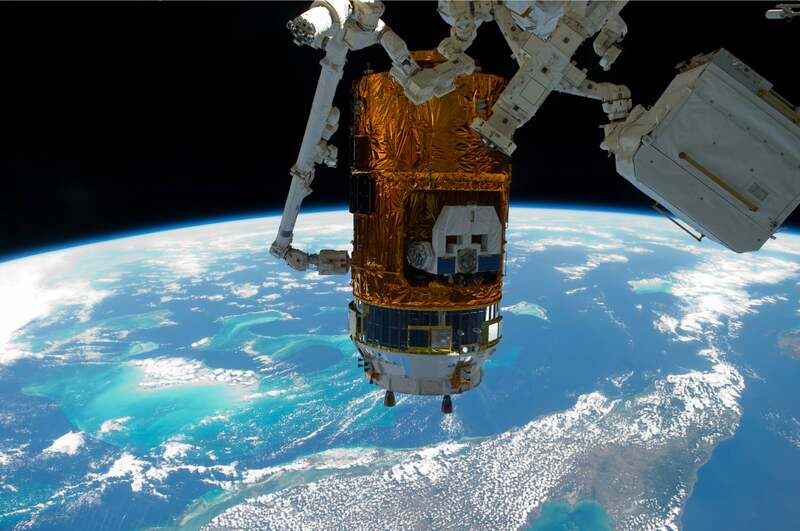 GeoGarage blog: Should we be exploring the Oceans instead of Space? Should we be exploring the Oceans instead of Space? 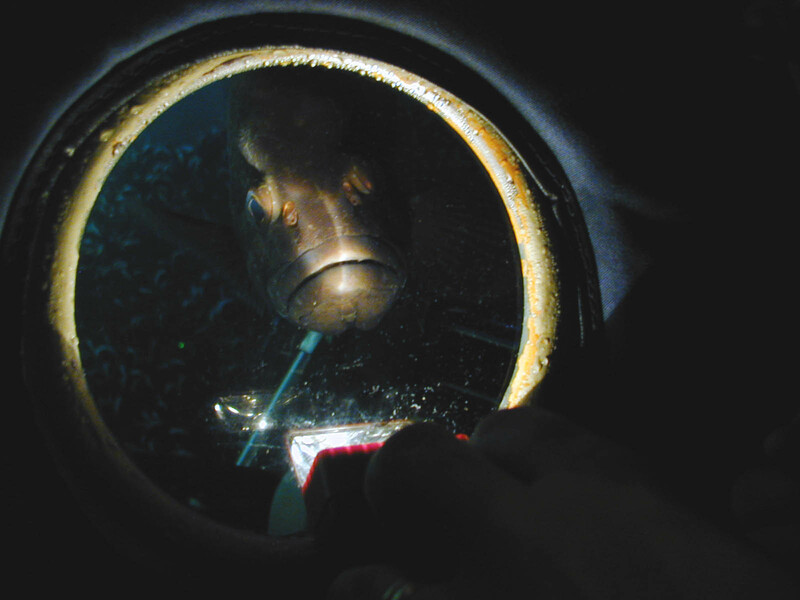 A curious grouper looks into the view port of the Pisces submersible. For some, the irony is almost too much to bear. While Congress is eager to fund a $2 billion expedition to search for oceans beneath Europa, some 95% of Earth's oceans are unexplored. Given the role of oceans in regulating climate, and their untapped potential for food and health, is it time to rethink our priorities? This debate has been going on for half a century. While the lifeless rubbled surface of the inconstant moon becomes increasingly littered with the burnt-out bones of vehicles, the bathyscaphe has visited the deep and unknown places of the earth only a few times. There is never much argument about appropriations for space shots, but a recent request for money to explore, map, and evaluate the hidden places of our mother earth brought howls of protest from Congressional leaders and the inevitable question—is it really necessary? We must explore our world and then we must farm it and harvest its plant life…..And we must mine the minerals, refine the chemicals to our use. Surely the rewards are beyond anything we can now conceive, and will be increasingly needed in an over-populated and depleting world. There is something for everyone in the sea—incredible beauty for the artist, the excitement and danger of exploration for the brave and restless, an open door for the ingenuity and inventiveness of the clever, a new world for the bored, food for the hungry, and incalculable material wealth for the acquisitive—and all of these in addition to the pure clean wonder of increasing knowledge. Steinbeck's arguments are still heard among oceanographers and self-described "ocean nerds" today. "As a scientist, I want to explore the great wonders our ocean has to offer," writes Conservation International's Greg Stone. As a conservationist, I need to explore the vital human-ocean connection: how the ocean can provide for people and how our impacts affect the health of our oceans." But even in a time of shrinking budgets, the priorities remain unchanged: NASA's exploration budget dominates the ocean exploration budget of NOAA (National Oceanic and Atmospheric Administration) by roughly 150-to-1. 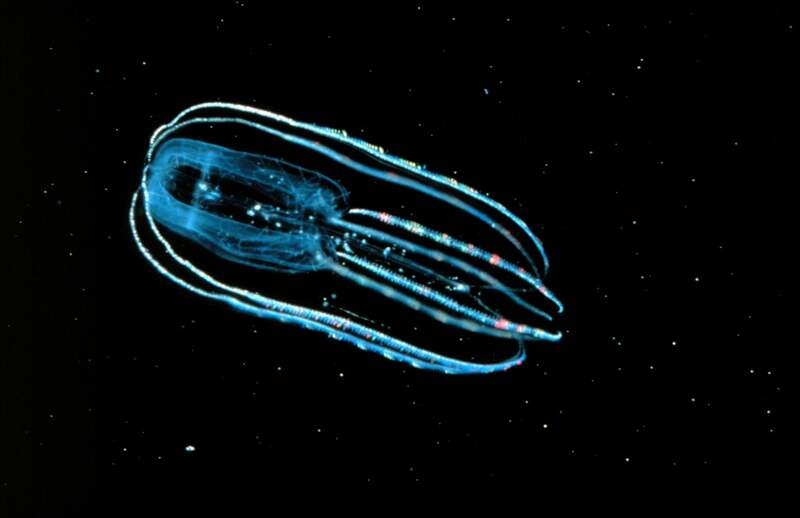 We are awed by the beauty and diversity of marine life, including exotic creatures that look more alien than anything we've seen in science fiction. We recognize the impact that environmental degradation of the oceans has on tourism and fishing industries. We express outrage over whale hunting. And with every passing week, we hear more dire news about the ocean's longterm health: massive "dead zones," accumulating plastic debris, the growing threats to coral reefs. So, why does ocean exploration hold less appeal than the exploration of space? No matter where we live, we can go outside on a clear night, look up into the sky, and wonder about what's out there. We're presented with a spectacular vista of stars, planets, meteorites, and even the occasional comet or aurora. We have all been wishing on stars since we were children. Only the lucky few can gaze out at the ocean from their doorstep, and even those who do cannot see all that lies beneath the waves. And those exotic, deep-sea creatures? They often don't survive the trip to the surface. Our ability to understand these animals remains limited, and we remain disconnected from deep ocean life. 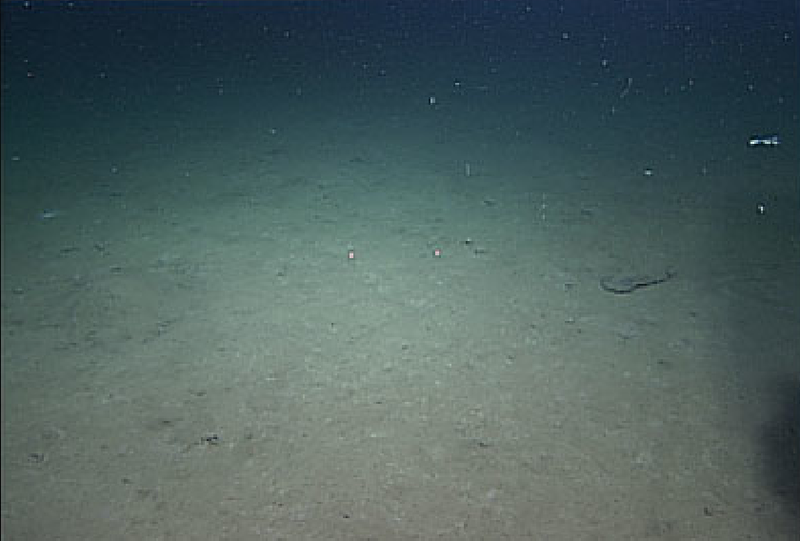 The vast majority of the seafloor once you get >50 miles offshore is barren, featureless mud. On face, this is pretty similar to the empty expanses of outer space, but in space you can see all the way through the nothing, letting you identify targets for probes or telescopes. The goals of space exploration are visible from the Earth, so we can dream and imagine reaching into the heavens. 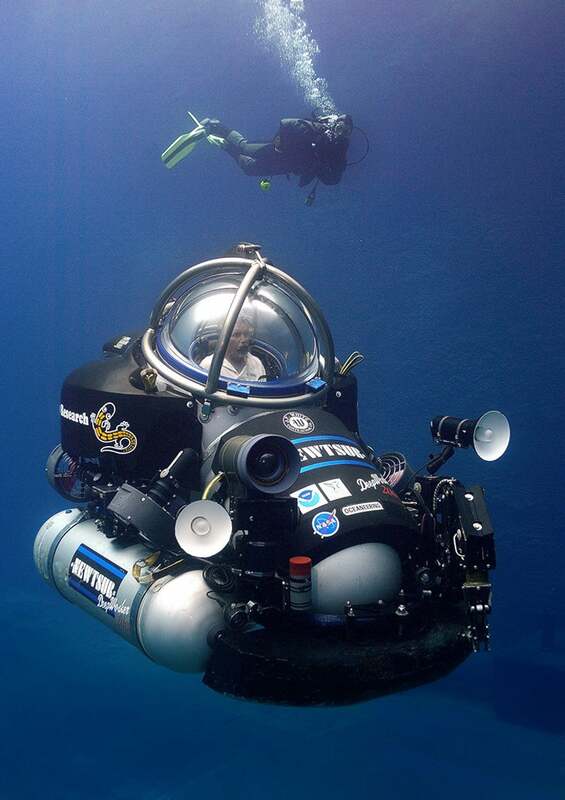 But in the deep oceans, visibility is less than 100 feet and travel speed is measured in single-digit knots….Sure, there are beautiful and interesting features like geothermal vents and coral reefs. But throughout most of the ocean these are few and far between. We stare up at the stars and dream of reaching them, but few people look off the side of a boat and wish they could go down there. 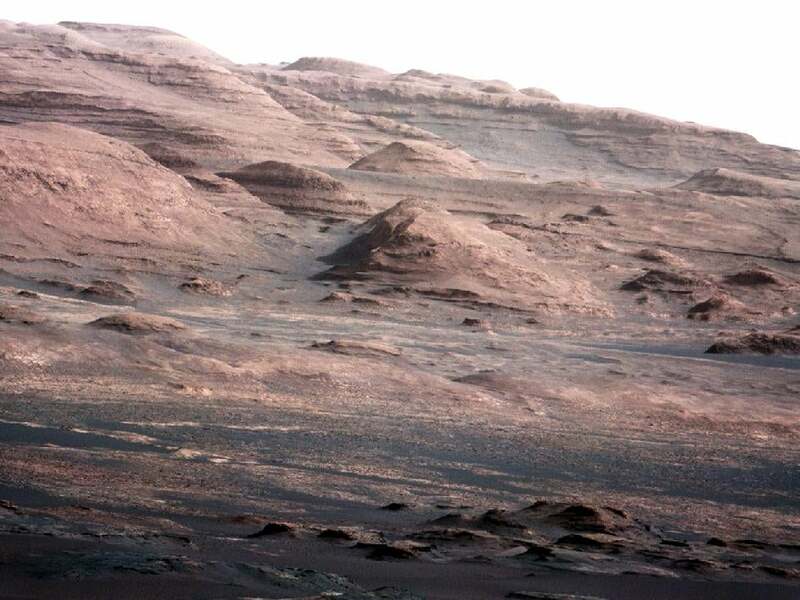 When we see images from other planets, even the most mundane terrain captivates us, because we getting close-up glimpses of worlds where humanity has yet to visit. What's always been true about exploration remains true today: Nothing intrigues us like the blank spots on a map. One of the most ardent proponents of shifting our exploration priorities is Amitai Etzioni, the director of the Institute for Communitarian Policy Studies at George Washington University. In his 1964 book The Moon-Doggle, he said there was less to be gained in deep space than in near space — the sphere in which communication, navigations, weather, and reconnaissance satellites orbit — and argued for more investment in studying our own planet instead of the Moon. Fifty years later, his views haven't changed; if anything he feels vindicated. In the most recent issue of the journal, Issues In Science and Technology, he updates his 1964 argument, saying that we need to choose the "fruitful frontier" over the "final frontier." NASA does make helpful contributions to climate science by way of its monitoring programs…. However, there seem to be no viable solutions to climate change that involve space. By contrast, it is already clear that the oceans offer a plethora of viable solutions to the Earth's most pressing troubles. For example, scientists have already demonstrated that the oceans serve as a "carbon sink." The oceans have absorbed almost one-third of anthropogenic CO2 emitted since the advent of the industrial revolution and have the potential to continue absorbing a large share of the CO2 released into the atmosphere. Researchers are exploring a variety of chemical, biological, and physical geoengineering projects to increase the ocean's capacity to absorb carbon. Additional federal funds should be allotted to determine the feasibility and safety of these projects and then to develop and implement any that are found acceptable. Although aquaculture is rapidly expanding—more than 60% from 2000 to 2008—and represented more than 40% of global fisheries production in 2006, a number of challenges require attention if aquaculture is to significantly improve worldwide supplies of food. First, scientists have yet to understand the impact of climate change on aquaculture and fishing. Ocean acidification is likely to damage entire ecosystems, and rising temperatures cause marine organisms to migrate away from their original territory or die off entirely. It is important to study the ways that these processes will likely play out and how their effects might be mitigated. On the issue of food, NASA is atypically mum. It does not claim it will feed the world with whatever it finds or plans to grow on Mars, Jupiter, or any other place light years away. The oceans are likely to be of great help. While NASA has claimed that its space exploration "benefit[ted] pharmaceutical drug development"….Ocean research, as modest as it is, has already yielded several medical "spinoffs." The discovery of one species of Japanese black sponge, which produces a substance that successfully blocks division of tumorous cells, led researchers to develop a late-stage breast cancer drug. An expedition near the Bahamas led to the discovery of a bacterium that produces substances that are in the process of being synthesized as antibiotics and anticancer compounds. In addition to the aforementioned cancer fighting compounds, chemicals that combat neuropathic pain, treat asthma and inflammation, and reduce skin irritation have been isolated from marine organisms…. [Yet] up to two-thirds of all marine life remains unidentified. Furthermore, for years scientists have been fascinated by noises originating at the bottom of the ocean, known creatively as "the Bloop" and "Julia," among others. And the world's largest known "waterfall" can be found entirely underwater between Greenland and Iceland, where cold, dense Arctic water from the Greenland Sea drops more than 11,500 feet before reaching the seafloor of the Denmark Strait. Much remains poorly understood about these phenomena, their relevance to the surrounding ecosystem, and the ways in which climate change will affect their continued existence. In short, there is much that humans have yet to understand about the depths of the oceans, further research into which could yield important insights about Earth's geological history and the evolution of humans and society. Addressing these questions surpasses the importance of another Mars rover or a space observatory designed to answer highly specific questions of importance mainly to a few dedicated astrophysicists, planetary scientists, and select colleagues. In "Final Frontier vs. Fruitful Frontier" Etzioni writes that "deep space—NASA's favorite turf—is a distant, hostile, and barren place, the study of which yields few major discoveries and an abundance of overhyped claims. By contrast, the oceans are nearby, and their study is a potential source of discoveries that could prove helpful for addressing a wide range of national concerns from climate change to disease; for reducing energy, mineral, and potable water shortages; for strengthening industry, security, and defenses against natural disasters such as hurricanes and tsunamis; for increasing our knowledge about geological history; and much more." Etzioni argues that NASA's projects, especially those dedicated to exploring deep space and to manned missions, can readily be cut, with billions moved from distant planets to nearby oceans. Echoing that letter written by John Steinbeck nearly 50 years ago, Etzioni concludes, "The United States needs an agency that can spearhead a major drive to explore the oceans—an agency that has yet to be envisioned and created."